Frustrated by the lack of Linux support for an education Robot Arm I bought - I've written my own. 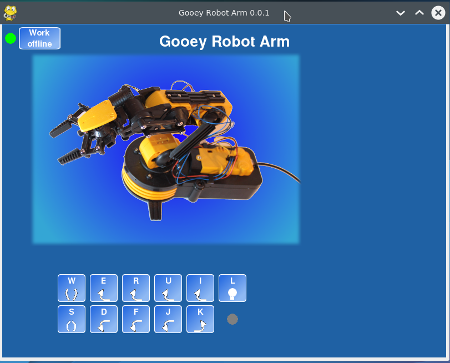 Other community members had already worked out the code to allow you to program the robot arm yourself in Python, but I wanted something that young children could easily see and interact with. 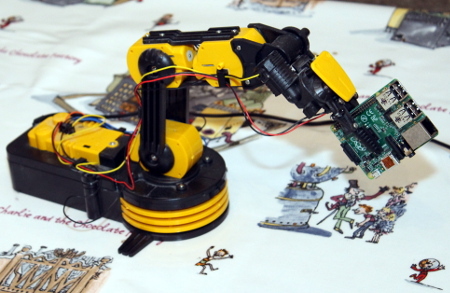 I have therefore written some software to provide a graphical way to control a Robot Arm with a Raspberry Pi. The software is written in Python, using Pygame and runs on the Raspberry Pi as well as other Linux computers. It even works on the new Raspberry Pi display (although due to the size the entire application is not on the screen).